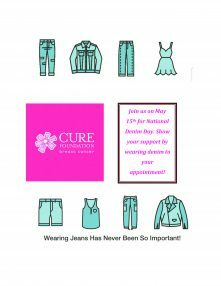 Join us on May 15th for National Denim Day in support of The CURE Foundation. The CURE Foundation is a national foundation that provides funding for basic and clinical research for breast cancer. Raising awareness among Canadians and help explore all possible avenues in the fight against breast cancer. 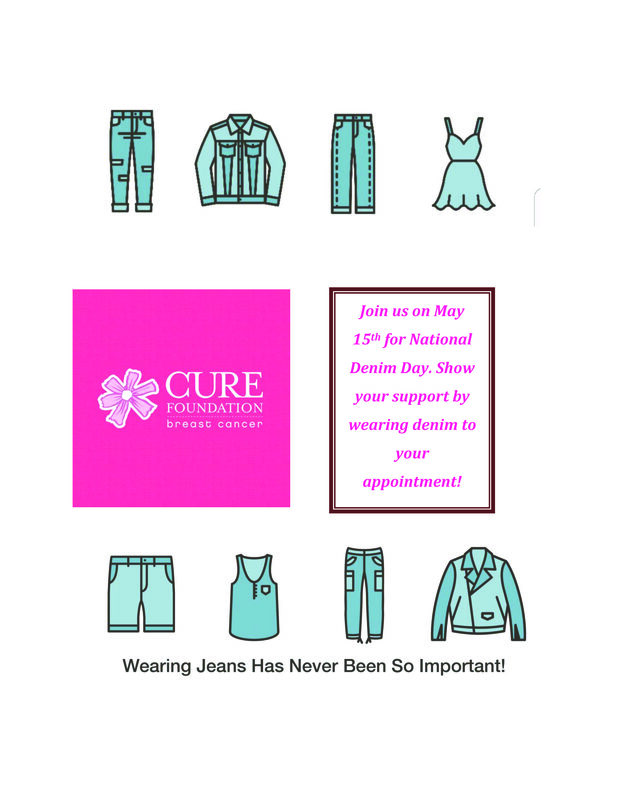 If you have an appointment with us, wear your denim to show your support along with our team.